No Cost Audits. Only Pay For Performance. Our goal is to provide strategies that improve the financial performance of our clients. 90 % of clients experience refunds and savings. 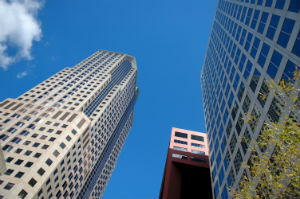 allow your company to control and reduce costs associated with leased real estate. Lease audits help you gain control over one of your largest and most critical expenses: occupancy costs. Leases and ongoing occupancy costs can be complex. It is common for these expenses to be overlooked and incorrect. Most leases place the burden on the tenant to identify errors and bring them to the landlord’s attention. Rent and associated costs are typically paid without scrutiny resulting in over payments and loss of revenue. CFO magazine recently reported that square footage of office space has increased in certain regions but no new space has been added. Landlords and management companies changed the methods used to measure space and passed the erroneous cost onto tenants. We represent you and make sure your company is not over paying. What is a Lease Audit? of lease documents, invoices and all lease related expenses. A preliminary analysis can determine whether the audit is likely to produce savings. An estimation of the significance of recovery will be compiled. Facilities requiring a full on site audit will be prioritized. An actual audit of the occupant’s records will be conducted and you will receive a detailed report of recovery and savings. Upon your approval of cost saving solutions, negotiations will be handled by our experts on behalf of your company. The experience and professional approach in negotiating fair with landlords will be cordial and fair resulting in an efficient and quick resolution of recovery and savings. Even small adjustments can make a big difference in bottom line performance for most companies. Contact us today for your no cost/no obligation evaluation and audit. that have constructed, bought, expanded or remodeled real estate valued above to increase their cash flows by accelerating depreciation related tax deductions. Cost segregation is an acceptable form of depreciation by the Internal Revenue Service. This program requires the combined expertise of Engineers and Accountants (most CPA firms do not offer this service) who review and determine your ability to modify depreciation schedules from the old 29 or 39 year programs to as little as 5 years. Bottom Line Maximizers experts will segregate and reclassify property costs todepreciate over shorter periods. The periods are typically five, ten, seven or fifteen years depending on classification. Most tax paying companies who owns, constructs, renovates, or acquires a commercial real estate structure with stands to benefit from a cost segregation study. We can help you determine if you can accelerate depreciation on property valued over $750,000. The ability to reclaim missed depreciation deductions from prior years without having to amend tax returns. The new depreciation schedule will allow your company to benefit from tax deductions now instead of waiting years. The savings would have a significant positive impact on bottomline results. A straight fee is charged based upon property type and value conforming to IRS guidelines. Explore how your company will benefit using Bottom Line Maximizers revenue generating and vendor screening solutions. Recover lost profits and maximize savings your company should rightfully have.